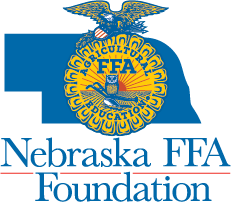 Seven FFA chapters were selected to earn a grant provided by Farmers Cooperative, which include: Auburn FFA, Fairbury FFA, Fillmore Central FFA, Heartland FFA, Lewiston FFA, Norris FFA and Wilber- Clatonia FFA. Each chapter chosen has many different ways they will be using the grant from buying bees for Supervised Agricultural Experiences (SAE) to providing a safe way for students to walk to school. Below you can read about all of the schools plans with their grant money donated by Farmers Cooperative. The Wilber-Clatonia FFA chapter will be using their grant to construct a "Safe Route to School Trail". This grant will enable the chapter to implement a walking trail throughout town to tie in parks and recreation with the school, as well as provide students a safe route to walk without walking on the streets. The Fairbury FFA chapter will be using their grant to support students Supervised Agriculture Experience (SAE). This grant will enable the chapter to purchase bee keeping supplies to be utilized for students to develop a hive, raise honey bees and a market honey. The Heartland FFA chapter will be using their grant to host a welding competition.c1-hxnoxcai-rdu1 This grant will enable the chapter to host a welding competition between local residents and Heartland FFA members. The Auburn FFA Chapter will be using their grant to purchase seed, plant and soil samples, and agriculture mechanics curriculum tools. This grant will enable the chapter to prepare for the agronomy career development events. It will also help students in middle school learn how to identify seeds, crops, weeds and soils. In addition the agriculture mechanics tools will be used for agriculture mechanics units and the Agriculture Technology and Mechanics career development event. 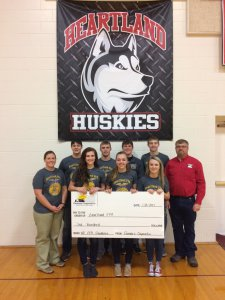 The Fillmore Central FFA chapter will be using their grant to expand their toy and hygiene drive. This grant will enable the chapter to place collection boxes in multiple businesses for toys and hygiene items. Items will be delivered to two different churches to distribute for area's families, in need or are on fixed income. In addition, toys that are not distributed through the church will be donated to a new day care. The Lewiston FFA chapter will be using their grant to construct a “Lewiston FFA Welcomes You” sign on the school grounds. Currently, there is only one sign in the community identifying the school and no signs promoting the FFA. The Norris FFA chapter will be using their grant to help Meals of Hope pack 10,000 meals for those in need in Lancaster County. This grant will enable the chapter to provide funds this for this project. Chapter members and middle school agricultural education classes will help package meals. As you can tell by reading all of the stories above, the grants will be used in many ways to benefit the community and FFA members. Thank you Farmers Cooperative for your donation to support the future of Nebraska FFA members!